May the peace and love of God come upon you, your homes, and your families, and upon all those who have come to protect you, and to all those who have come to you for protection! With these words, Jesus strengthened the determination of his Apostles, who asked for the perseverance that would confirm their victory for good, and the defeat of evil. The line of lies is a short one. And evil -- regardless of its gaining strength, regardless of the fact that it lasts for long time -- does not prevail. 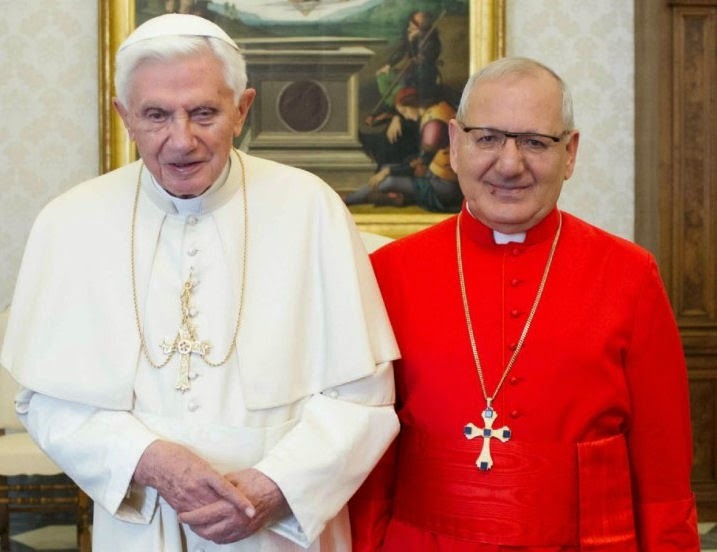 Our appeal to you, dearly beloved, is so that your determination will not be weakened, and that you will not be frightened by the false propaganda and the rumors that have no other goals than to take away your dignity and make you abandon your homes and churches. Therefore, be patient and persevere, because one who is patient wins in the end. And know that the responsibility of those who spread the rumour about the crime is not smaller than the responsibility of those who commit the crime themselves. No one can stop those who wish to emigrate, because emigration has its own causes, and one who considers emigration evaluates one's own situation and takes one's own decisions. But why leave a country that is ours, and whose land we have inherited from our own fathers? We have not taken it by force or by invasion, and an inheritance is [something] precious and respected, even it is small. Have some faith, first in God, then in our Mother the Virgin Mary, who with her kindness protects our villages that have not fallen in the hands of the enemy, and will not fall, by the grace of God. So much so that there are people who are convinced that their fate is linked to our own, who have allowed the coming together of our fates, and who have come exclusively to protect us, who have sacrificed their blood and their rest to protect us. We should be taking up arms and standing at their side to repel the enemy and keep evil away from us, rather than thinking about fleeing and losing. In this event, we could not be proud and have trust in ourselves. 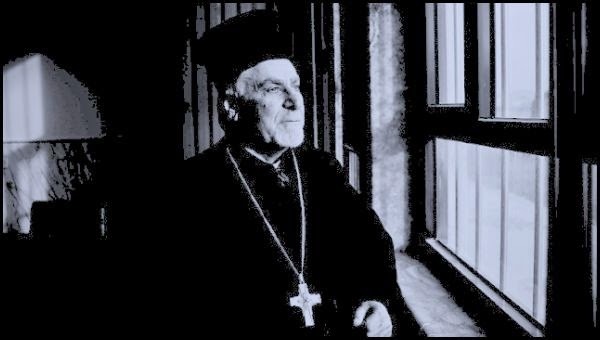 And we are the children of forefathers who were not afraid of death, and who were not terrorized by persecution, because they wanted to preserve their religions and their values, both social and moral, and to protect their sacred places, and their monasteries, and their churches. Well then, be not afraid, and preserve your heritage and your land. Stand strong in your faith as you are in love and in hope, and bring to each one the faith of [being able to] face the challenges, filled with courage against the obstacles on the path of your life. May God, the keeper of peace and security, be with you. "For whoever is not against us is for us," (Mk 9:40); Jesus Christ said, "if God be for us, who can be against us?" (Rm 8:31), as the Apostle Paul confirms. 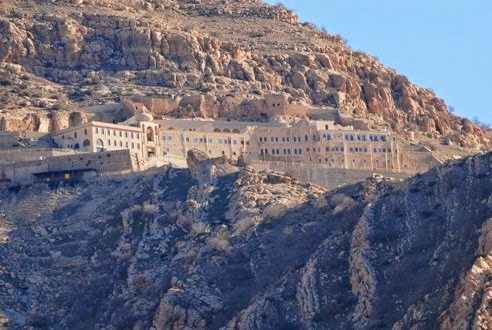 Located 20 miles north-east of Nineveh, Mar Mattai monastery lies tucked away on top of Maqlub Mountain known to the Assyrians as Tura D'alpayeh. 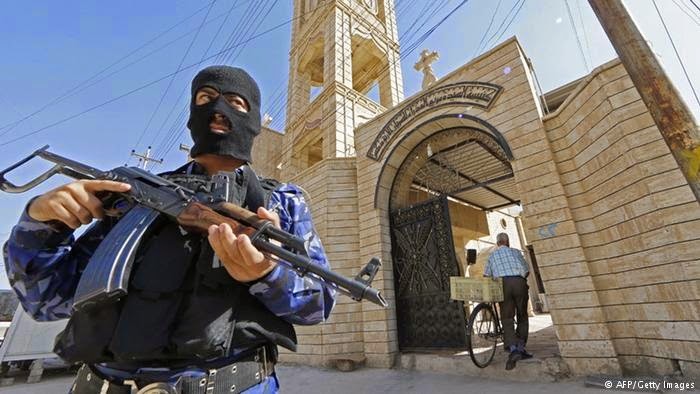 Mosul (Iraq) (AFP) – Jihadist militants have taken over a monastery in northern Iraq, one of the country’s best-known Christian landmarks, and expelled its resident monks, a cleric and residents said Monday. Islamic State (IS) fighters stormed Mar (Saint) Behnam, a 4th century monastery run by the Syriac Catholic church near the predominantly Christian town of Qaraqosh, on Sunday, the sources said. Fighters with the Islamic State in Iraq and Syria (ISIS) stormed the Saint Behnam monastery on Monday, located 30 kilometers (20 miles) southeast of Mosul. He said the monks pleaded to be allowed to save some of the monastery’s relics but the fighters refused and ordered them to leave on foot with nothing but their clothes. Christian residents from the area told AFP the monks walked several miles along a deserted road and were eventually picked up by Kurdish peshmerga fighters who drove them to Qaraqosh. 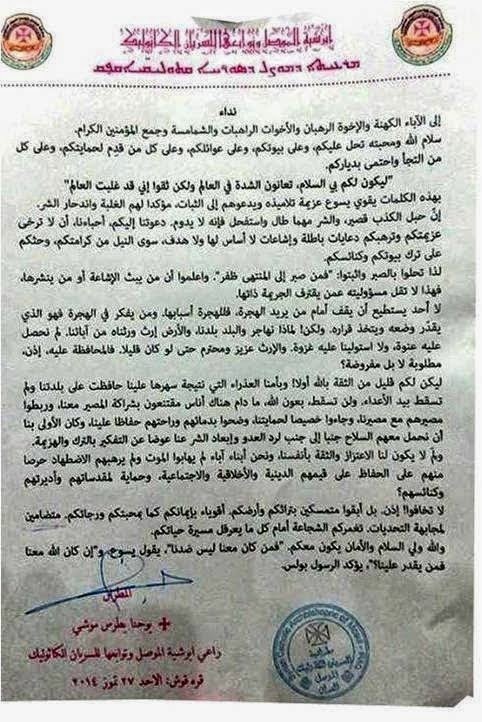 The Syriac cleric said five monks were expelled from Mar Behnam. Christian families in the area said there may have been up to nine people living at the monastery. The incident was the latest move by the Islamic State, which last month declared a “caliphate” straddling large swathes of northern Iraq and Syria, to threaten a Christian presence in the region spanning close to two millennia. Over the weekend, hundreds of families fled Mosul, a once-cosmopolitan city which is the country’s second largest and lies around 15 kilometres (10 miles) northwest of Mar Behnam. They abandoned homes and belongings after IS fighters running the city issued an ultimatum for Christians to convert, pay a special tax, leave or face the sword. Families who were forced on the road and leaders of Iraq’s Chaldean and other churches said Mosul was now emptied of Christians for the first time in history. Jihadist fighters want to create a state based on an extreme interpretation of sharia — or Islamic law — and have targeted all minorities in the Mosul area. Other groups such as Shiite Turkmen, Shabak and Yazidis have suffered even more than the Christians, who have largely escaped summary executions since IS swept the region in early June. Mar Behnam is a major Christian landmark in Iraq and a site where the local community and pilgrims traditionally pray for healings and fertility. It was built by Assyrian king Sennacherib II as a penance for having his children Behnam and Sarah killed because they had converted to Christianity. "Christian families have been expelled from their houses and their valuables were stolen and ...their houses and property expropriated in the name of the Islamic State." "This has never happened in Christian or Islamic history. Even Genghis Khan or Hulagu didn't do this," Patriarch Louis Raphael I Sako said. 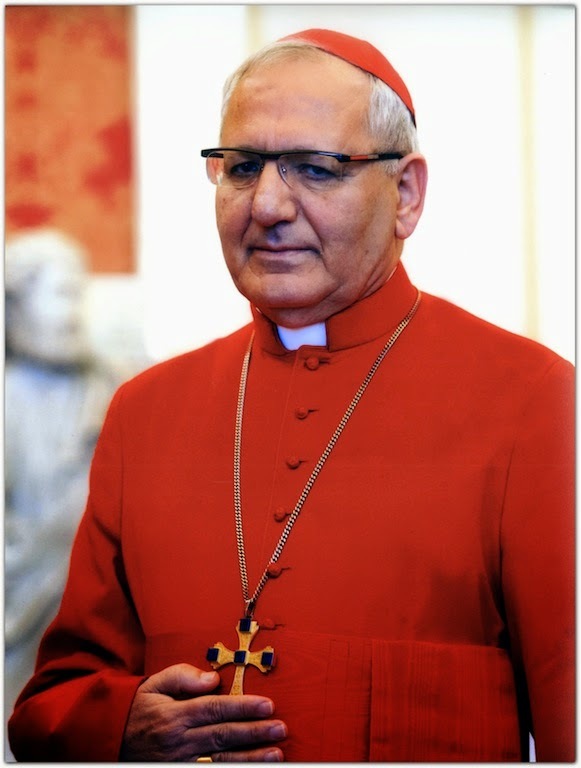 The control exercised by the Islamist Jihadists upon the city of Mosul, and their proclamation of it as an Islamic State, after several days of calm and expectant watching of events, has now come to reflect negatively upon the Christian population of the city and its environs. Suddenly we have been surprised by the more recent outcomes which are the proclamation of an Islamic state and the announcement calling all Christians and clearly asking them to convert to Islam or to pay the jizyah (the tax all non- Muslims must pay while living in the land of Islam) – without specifying the exact amount. The only alternative is to abandon the city and their houses with only the clothes they are wearing, taking nothing else. Moreover, by Islamic law, upon their departure, their houses are no longer their properties but are instantly confiscated as property of the Islamic state. In recent days, there has been written the letter ‘N’ in Arabic on the front wall of Christian homes, signifying ‘Nazara’ (Christian), and on the front wall of Shiite homes, the letter ‘R’ signifying ‘Rwafidh’ (Protestants or rejecters). We do not know what will happen in future days because in an Islamic state the Al-sharia or Islamic code of law is powerful and has been interpreted to require the issuance of new I.Ds for the population based on religious or sectarian affiliation. This categorization based upon religion or sect afflicts the Muslims as well and contravenes the regulation of Islamic thought which is expressed in the Quran which says, “You have your religion and I have my religion” and yet another place in Quran states, “There is no compulsion in religion”. This is exactly the contradiction in the life and history of the Islamic world for more than 1400 years and in the co-existence with other different religions and nations in the East. It is clear that the result of all this discrimination legally enforced will be the very dangerous elimination of the possibility of co-existence between majorities and minorities. It will be very harmful to Muslims themselves both in the near and the distant future. 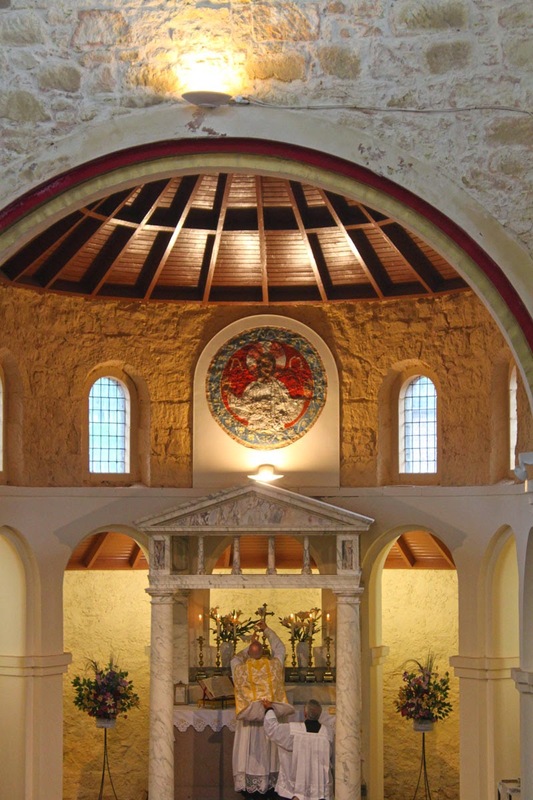 We are very pleased to announce that, at the request of Bishop Hugh Gillbert, OSB of Aberdeen, we, the Sons of the Most Holy Redeemer, will now be offering a regular Sunday Traditional Mass once a month in Aberdeen. 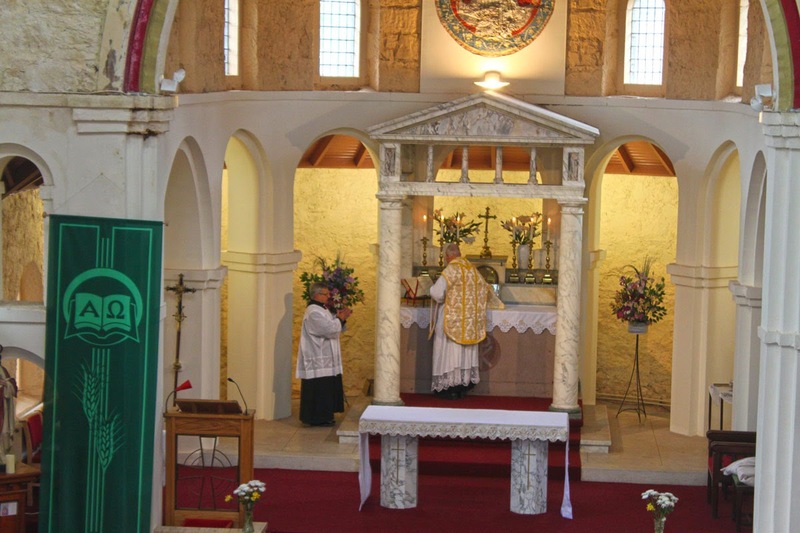 The Holy Sacrifice of the Mass will be offered according to the 1962 Missale Romanum on the second Sunday of every month in Sacred Heart Church, Aberdeen. 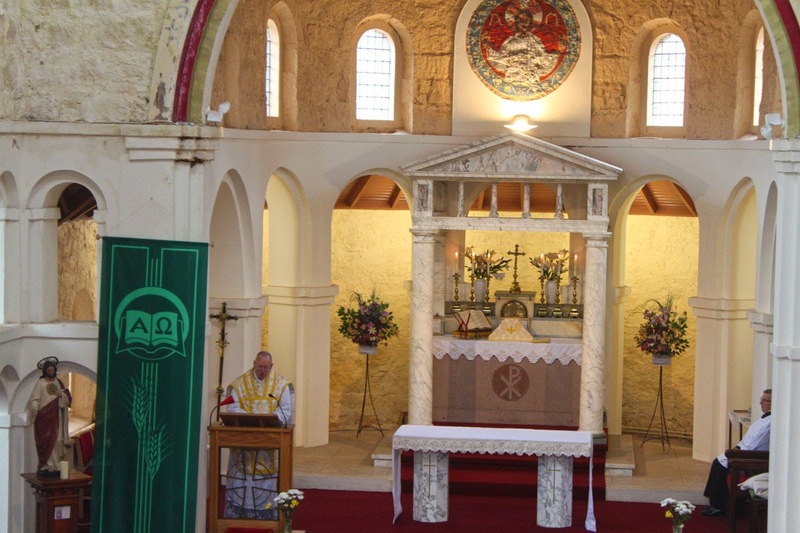 The Traditional Mass will be celebrated at 11:15am. To keep up with any developments and to receive updates, please follow us on Facebook. 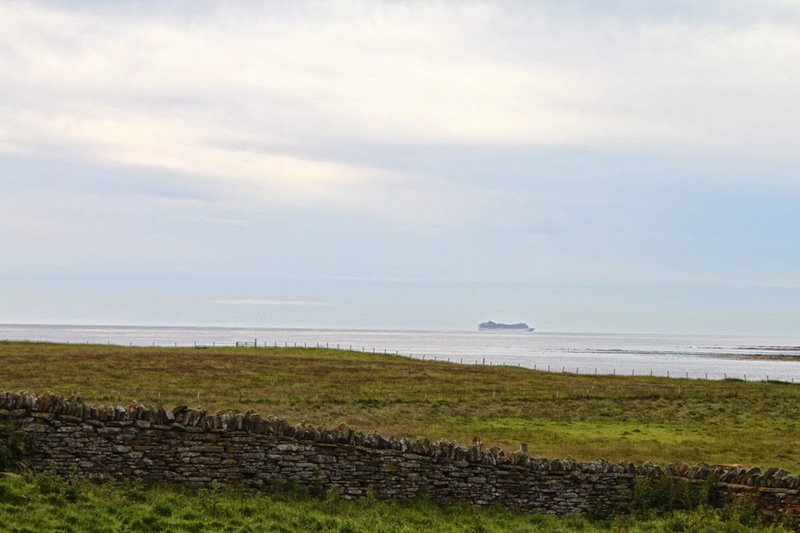 There are three large cruise liners coming into Orkney today with an aproximate total of 7000 tourists! The shopkeepers will be pleased. After Morning prayers this ship could be seen from Papa Stronsay making its approach to Kirkwall. It is the MSC Magnifica. At a build cost of $547 million, it weighs in at 95,128 tonnes. Today it is carrying 2569 Passengers and 953 crew. 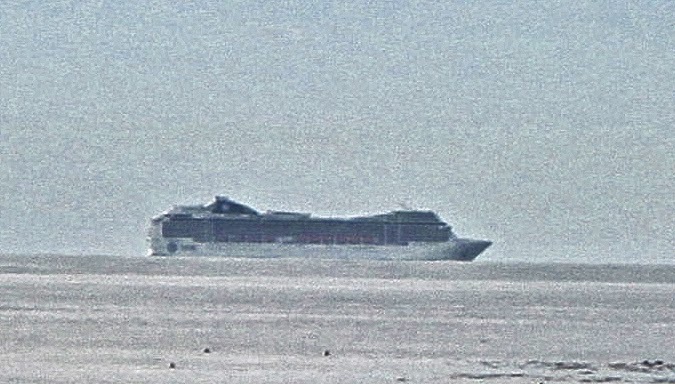 It was quite magnificent to see this huge vessel gliding along the usually empty horrizon.